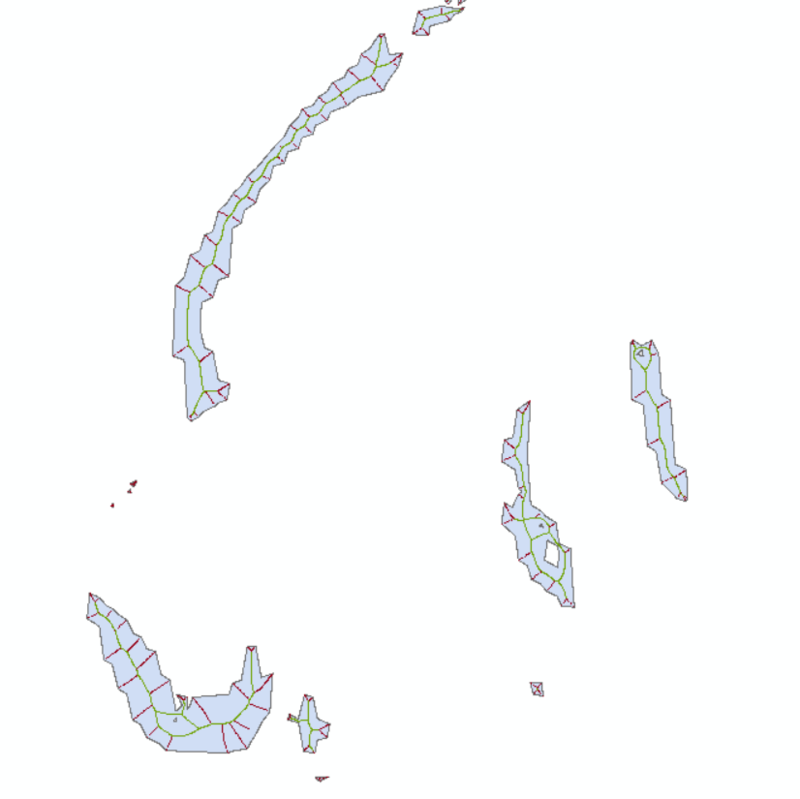 I am looking for a GIS tool/script (preference on QGIS but I can also use ArcGIS/Matlab) that allows creating a polyline layer from a polygon layer where a polyline is drawn for each polygon. The polyline is drawn being the main direction of the polygon and being within the polygon. I would have preferred a Qgis tool but it is OK for now. Browse other questions tagged qgis arcgis-desktop polygon convert polyline-creation or ask your own question. Finding longest line segment within polygon? Determining direction of longest segment of polygon using ArcGIS Desktop? How to close a polyline in QGIS while digitizing? Using QGIS to find and calculate parts of polylines within polygon? Drawing horizontally/vertically aligned rectangular polygon in ArcGIS Desktop? Clipping feature layer to polygon to find total population that resides within polygon area using ArcGIS Desktop?